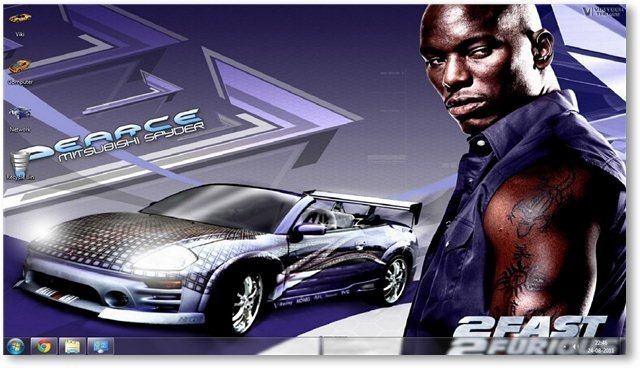 The Fast and Furious series of movies is perhaps the most popular series based on street car racings. Running successfully for over a decade since the first movie was released in 2001, it is still going strong. The latest movie of the series, named as Fast Five, released in April 2011. Within a month of its release, Fast Five became the highest grossing movie of the entire series. 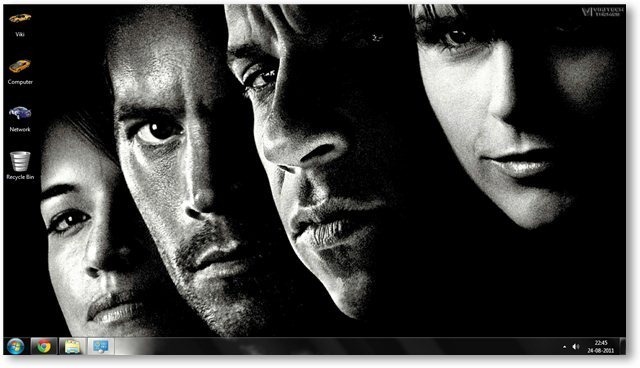 One of the main aspects of these movies from the characters point-of-view is the presence of Vin Diesel and Paul Walker in the entire series. Vin Diesel had just a cameo appearance in Tokyo Drift and was missing in 2 Fast 2 Furious. Paul Walker has been in almost all the movies missing out just on Tokyo Drift. Fast Five also saw the appearance of Dwayne ‘The Rock’ Johnson which gave huge boost to the popularity of this movie. A successful series that has lasted for over a decade and still having the next movies planned, Fast and Furious has a huge following all over the world. 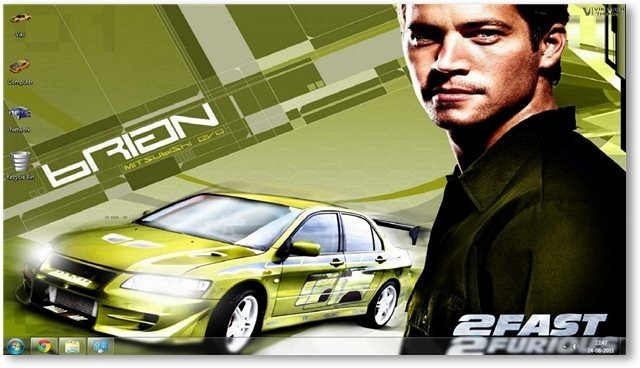 Here is a theme dedicated to the awesome Fast and Furious series. 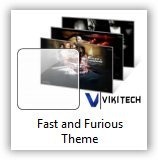 The Fast and Furious Theme for Windows 7 consists of 35+ hi-Res Wallpapers, custom Icons and sound clips based on the soundtracks from the movie. 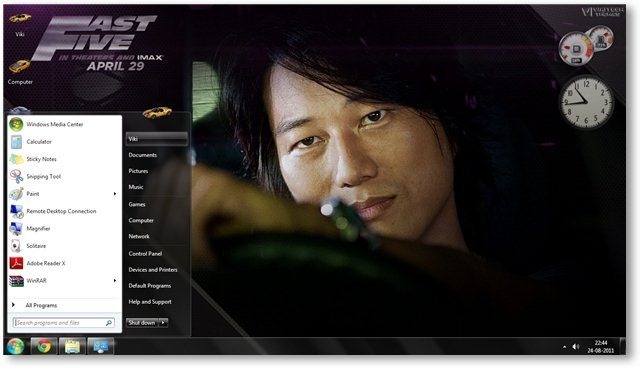 Bring the ferocity of the Fast and Furious series to your desktop with this theme. These are just a few of the 35+ wallpapers that are included in this theme. Download the theme to get them all! The theme comes with special car icons and sound clips from some of the best soundtracks of the series. These sound clips play when you apply the theme and when you login or logoff. 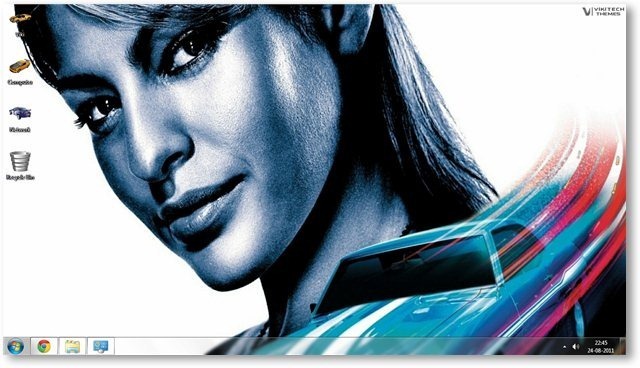 We have a dedicated download page for The Fast and Furious Windows 7 movie theme. You can also check out many other themes in our Windows 7 Themes Gallery. 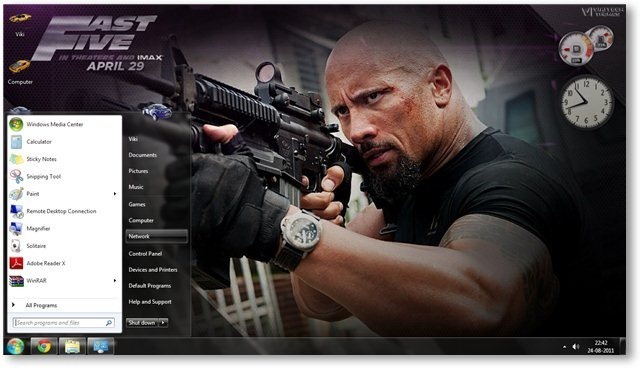 Download Fast and Furious Windows 7 Theme.